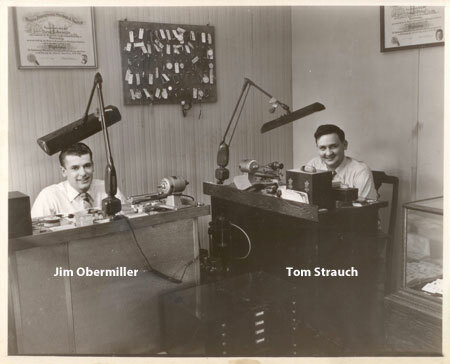 Strauch, Obermiller and Son Jewelers was founded in Crestline, Ohio as Strauch, Obermiller Jewelers in 1949 by Thomas Strauch and James Obermiller, two local men newly graduating from Western Pennsylvania Horological Institute as expert watchmakers. The store has been in continuous operation and family-owned for 67 years. In the beginning, watch repair was the only service offered. As the store grew and moved to larger quarters, the partners continued their education and added jewelry repair to the service department. From 1950 to 1964 the business grew and expanded. 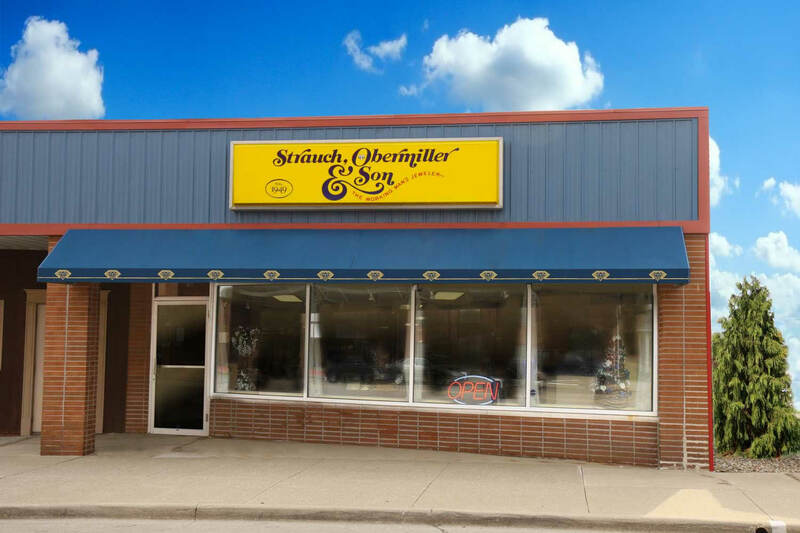 Finally in 1973 with complete lines of jewelry, watches and giftware along with expert watch and jewelry repair, Strauch, Obermiller Jewelers made its final move to 209 Seltzer Street, Crestline, Ohio. The present owner, Reed Obermiller, was added to the staff in 1982 as an apprentice jeweler. Subsequently, he took over the entire jewelry repair department. On January 1, 1993, Reed Obermiller assumed full ownership and renamed the business, Strauch, Obermiller and Son Jewelers. The firm continues to serve Crestline and surrounding areas with fine jewelry, watches, gifts, expert jewelry repair and friendly service. Call 419-683-1591 or stop by at 209 Seltzer Street, Crestline, Ohio 44827, and let Reed help you with any of your jewelry needs. We consider it a privilege to have the opportunity to serve you.